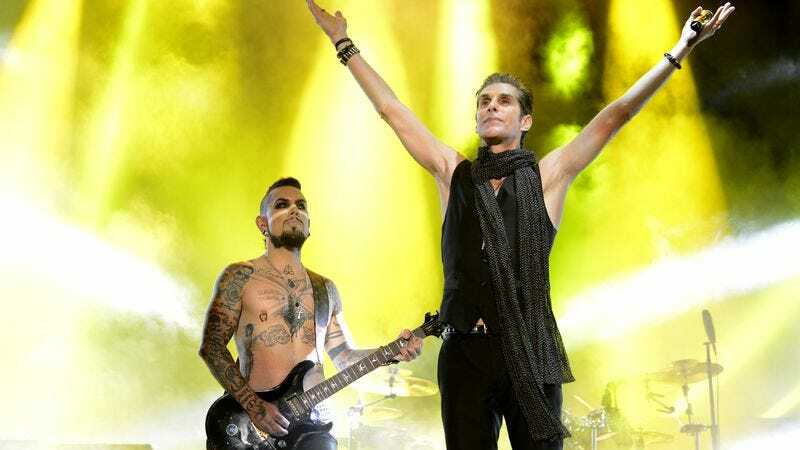 Lollapalooza starts in a few months, and now Jane’s Addiction has announced that it’s going on a quick tour before stopping in Chicago for the new, slightly longer and slightly more expensive version of the festival that its singer Perry Farrell founded in 1991. That makes this year the 25th anniversary of Lollapalooza and the 26th anniversary of Jane’s Addiction’s Ritual De Lo Habitual, and the band will be celebrating that album on this tour—which has been dubbed “The Sterling Spoon Anniversary Tour.” According to Rolling Stone, each show “will feature a special selection of tracks from Ritual” in addition to “songs from [the band’s] entire catalog.” That means you might be lucky enough to hear both “Jane Says” and “Been Caught Stealing” at the same show, and that’s probably never happened before. Dinosaur Jr. will be Jane’s Addiction’s opener for the first few shows, and the two bands will be joined by Living Colour in Boston on July 19. You can see the brief list of tour dates below.